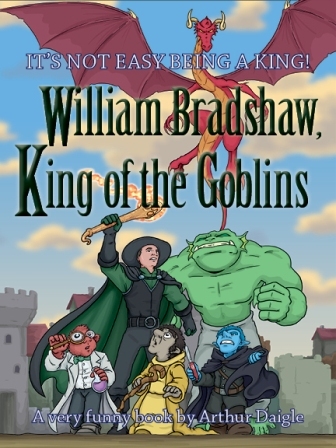 Hello, my name is William Bradshaw, and through no fault of my own I am King of the Goblins. I made the mistake of applying for a management position advertised by the law firm of Cickam, Wender and Downe. Thing is, they didn’t say the job was to ‘manage’ the goblins on the world of Other Place as their king. Goblins don’t really want a king, and it’s a rare day when they do what I say. They’d rather cause trouble, set traps and generally annoy everyone. Okay. So, you like to cause conflict, but what conflict are you up against? Conflicts, plural. I have two big problems as King of the Goblins. The first is my goblins. They’re not as bad as everyone makes them out to be, most of the time, but they like causing trouble. Pit traps, pie throwers, putting skunks in your underwear drawer, they can do all that and more before breakfast. I’m trying to get them to be a little less idiotic, and just as importantly I’m trying to get them to believe in themselves. That leads into the second conflict. You see, goblins are the smallest and weakest race on Other Place. They’ve been pushed around throughout recorded history. Men, elves, dwarfs, ogres and others think nothing of robbing goblins. That includes stealing their land. Many goblins live in wastelands, dumps and other ruined places because those are the only locations where no one will try to drive them off. What are some of the biggest stumbling blocks you’ve encountered trying to resolve all of this? My biggest problem is that the goblins have no interest in winning. With all the losses they’ve taken over the centuries they figure why bother trying when they’ll get beaten anyway. It’s taken a lot of effort to get them to believe that they’re better than anyone thinks they are, and that their enemies aren’t nearly as tough as it seems. Problem number two is that just about everyone on Other Place hates goblins. Goblins are looked down on by most of the people on this world. This means when a big problem comes up, I have a really hard time getting help from anyone but goblins. Okay, goblins don’t go out of their way to be friendly, but the different races aren’t model citizens, either. Tell us about your best friend or side kick. I have a crew of loyal followers I can count on, which makes it hard to pick one as best. I figure I’ll go with Domo. He’s the closest the goblins ever came to having their own leader, and while we didn’t get along too well to start with, we’re good friends now. He knows a lot about Other Place and he understands goblins more than anyone else. I can turn to him for help, and he hasn’t run off no matter how much trouble I find myself in. Loyalty is awesome, isn’t it? What is your strongest personality trait? I think fast in tough situations. Being King of the Goblins means being one step away from disaster, with a fifty-fifty chance of it being caused by outsiders or my own goblins. You have to react fast when trouble comes up. Wow! Challenging. Is there anything about you that people are always giving you a hard time about? How do you feel about it? Nobody on Other Place likes goblins, and since I’m their king nobody much likes me. They figure I’m responsible for their pranks and traps, or that I’m as bad as they are. I thought that would change after I helped them out by destroying the Staff of Skulls, but instead it made me more despised than ever. You see, there are goblins just about everywhere on Other Place, and people are used to ignoring them or pushing them around. When I proved goblins are capable of doing amazing things, it made those people scared, because they wondered what would happen if their local goblins started standing up for themselves. How do I feel about an entire world looking down on me? Most days it’s not that big of a deal. I see the goblins improving and that’s what matters. I’ve also run into a few people who appreciate what I’ve done. It’s rare, but it happens. That gives me hope that things are going to get better. Let’s get to know you a bit better with some personal questions. What are your three favorite leisure activities? #1 People not trying to kill me. That’s so rare it feels like a leisure activity. #2 Gardening. This one is hard since the Kingdom of the Goblins used to be a dwarf strip mine. Getting weeds to grow here is a challenge. #3 Looking for ways out of my king contract. Cickam, Wender and Downe gave me a contract when I became King, a nightmare of legal jargon, doublespeak and outright lies. If I can find a loophole in the contract I can go home. Grown up? Hey, I graduated college! As for what I want to be, I’d say anything besides King of the Goblins looks really good. I like these guys, I do, but I’d go back to Earth in a minute if I could. Besides going home? I would love it if everyone on Other Place realized that goblins deserve the same rights and respect as anyone else. I think half the goblin pranks and trap making would disappear right there and then if they were treated better. I wish I could say all of it would vanish, but I know goblins well enough to say that’s not going to happen. And finally, Williams, what words of wisdom would you like to share with our readers? First, don’t look down on people. They may be doing worse than you, and they may have done something to bring bad luck down on themselves, but no one deserves to suffer. Second, have faith in yourself and your friends. The goblins could have won more often over the years if they’d believed in themselves and really made the effort. Third and last, avoid the legal profession at all costs. Trust me on this one. Now that you’ve enticed our readers with your story, share with us how they can acquire your book. 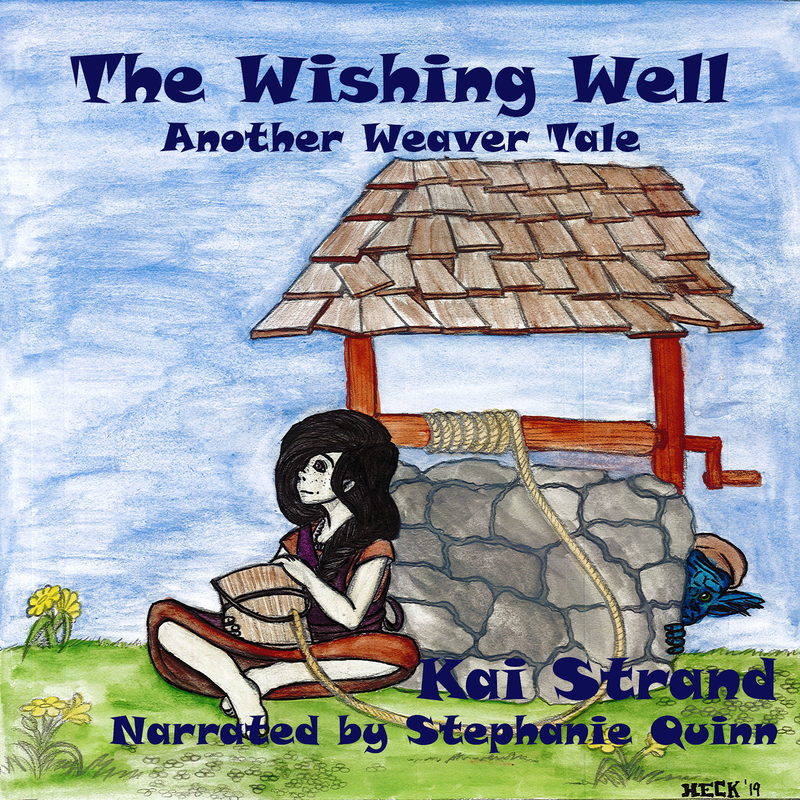 I am including the book blurb for my first book and the buy links for all three books. There's a new King in Town! That's the good news. The bad news is that Will Bradshaw has problems. He's new on the job but he's already made enemies with a fire-breathing dragon. His friends are not much better: goblins whose favorite pastime is messing things up, trolls with anger management issues, an over-achieving fire scepter, and an un-cooportative magic mirror. Aside from all that, all he has to worry about is a war. And that's the trouble. Throughout recorded history the goblins have never won a battle, much less a war. But things are going to be different this time around. William Bradshaw is determined to win, using every means at his disposal, including stealth, subterfuge and exploding outhouses. Arthur Daigle was born and raised in the suburbs of Chicago, Illinois. He attended the University of Illinois Urbana Chapmaign and received a degree in Biology, which seemed like a good idea at the time. He has worked in such diverse jobs as zoo intern, research assistant, grading essay tests, water quality tester and garden associate. It was pretty much inevitable that Arthur would take up writing since he has been a fan of fantasy and science fiction since he was old enough to walk. Arthur has written three novels, William Bradshaw King of the Goblins, William Bradshaw and a Faint Hope, and William Bradshaw and War Unending. Readers should expect more books in the future, as all attempts to stop him have failed. Interesting interview. I know nothing about goblins, but feel sorry for the ones in the story. I hope everything works out and William gets his wish and so do the goblins. Sounds like a really fun read. Best of luck to you, Arthur. It does sound fun, doesn't it? Thanks for stopping in, Beverly.